Deformity of the spinal column is a wide array of complex abnormalities that goes beyond scoliosis that is the most well known spinal deformity disorder. 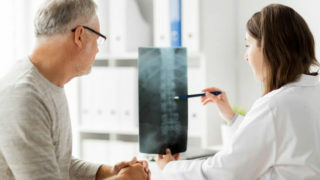 These can have unknown causes as in adolescent idiopathic (ie; unknown) scoliosis (AIS) or degenerative scoliosis can be caused by curvature developing in the aging spine. Kyphosis is the other major deformity disorder characterized by bending forward of the spinal column and can affect any region of the spine from the neck to the low back region. These can be caused by degenerative changes, previous surgery, and previous fracture/injury with healing in a bent-forward position. Bergey D, Pashman RS, Johnson JP. 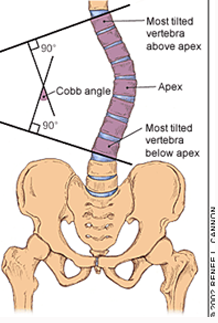 Ankylosing Spondylitis: Defomity Correction Surgery. In: Benzel EC (ed.) Spine Surgery: Techniques, Complication Avoidance, and Management 2nd Edition, Elsevier Churchill Livingstone, Philadelphia, Pennsylvania, 2005, pp 931-935.